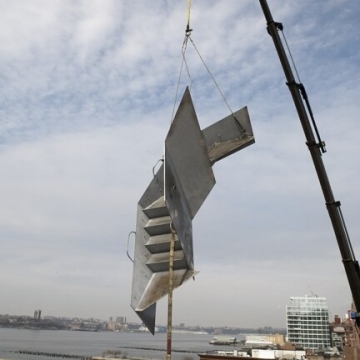 Due to the site-specific nature of many of our projects, we are structured to support your on-site installation needs. We work with both union and non-union forces to assemble the right team for each project and coordinate all the details to ensure a successful outcome. Detailed upfront planning is critical to the installation process. From the very beginning of each project, we are evaluating the best means for your installation with the goal of streamlining the process as much as possible. We fully assemble each project in-house before delivering it to the site, which allows us to build quality into the project while minimizing the impact on the overall schedule and the timing of other trades.